There’s a great conversation to be had about consequences. In fact, I’ve had more than one with friends, at conferences, and on the phone. It has become clear in these interactions that the term ‘consequences’ can be interpreted, or misinterpreted as the case may be, in different ways. In my unfolding as a mother and, indeed, as a person, the comfort of camaraderie has been sought, found, outgrown, and cherished – not necessarily in that order and varying according to the experience. What I have found with regard to the subject of consequences is that there is a distinct difference between the intent and style of those who recognize consequences and those who use consequences. While the argument for eliminating discipline is strong and, in my opinion, irrefutable (have we not talked about this? Maybe we should…), I have seen the progression of parents who have accepted this evidence tending toward using ‘consequences’ as a means of controlling behavior, maintaining their position of authority, and manipulating their children. From the more obvious, “If you ____ again, I’m going to ____.” to the “See? I told you if you did ____ that ____ would happen.” It may not even be words but parental feelings of satisfaction that taint ‘natural’ consequences into shameful experiences. Do you feel the negative energy here? There is an emotional disconnect and a hierarchical intent that pervades the relationship. It is an intent to control by the parent that is fueled by a feeling of being out of control, lacking the ability to support the child, and attempting to manipulate behaviors and situations to expand our own egos either through improving our sense of control or through what we observe to be the perceptions of others regarding our parenting. Laura Grace Weldon’s recent story, What the French Revolution Taught Me About Parenting, for Rethinking Everything – PARENT’s Issue One captured the essence of assisting our children in the understanding of and empowerment that can be found in consequences. Comfort after a fall from a high place, a towel handed when a drink is spilled, an open conversation on a ride home from a party-gone-wrong, helping with the fund raising ideas when the laptop gets dropped – these all facilitate awareness, self-confidence and provide an arsenal of understanding from which to draw in future situations. Shame and attempts at behavior modification stifle the opportunity for understanding and growth. And stepping in to ‘fix’ the situation ourselves robs the child of potentially very empowering interactions. Support… not manipulation. Support… not enabling. The nuances here are critical to joyful and empowered connection with my child. In my mothering world, there is no such thing as “I told you so” or “if you’d only listened to me” or “see, that’s what happens when you don’t listen,” etc. There is no such word as failure either, as failure is just judgment, not only from third party eyes (parents and others), but children can develop world views where they see their own actions as failures when taught that failure exists and that they are bad things. What is ‘failure’ anyway? At its best it is an opportunity for reflection, more experimentation and evolved change. Why should it be anything else, especially something negative? In a freedom-based life, one that is unconditionally supported by those around us who love and care for us, our thoughts and actions FLOW from one thing to another as we inquire, experiment, evolve, change and grow. My job as a mom is one of partnership with my child, helping him to resource, brainstorm, reinvent the wheel, get the information and materials he needs to pursue his ever changing interests. The consequences are always enlightening and allow my child to flow into the next evolution of his thinking, action and unique, self designed development. Thank you so much to you both for your insight on this topic. I’ve recently started talking to my kids about “consequences” instead of the “grounding” or “rules” that they have to follow. However, after reading this, I realized I’m still basically going back to the same old things that I didn’t like about my parenting…but just with a new word put to it. Once again I’ll have to rethink what I’m doing and saying…and I might never have done that without your comments. I’m glad that our experiences and thoughts have shed light for you, Andrew. It’s simply a more palatable way for parents to justify manipulation. Do you think you’ll be able to have a conversation with your kids about your progression through the need to control? I do it all the time and it’s very helpful for all of us to be on the same page. Interestingly, shame and all of the negative emotion/attention placed on behaviors is the same energy that brings about such behaviors. If one internalizes the negative stuff it is that same negative stuff that was internalized that contributes to the repetition of actions that don’t work for the person. Kids don’t need to feel bad to be “good”. Quite the opposite. Same with adults. 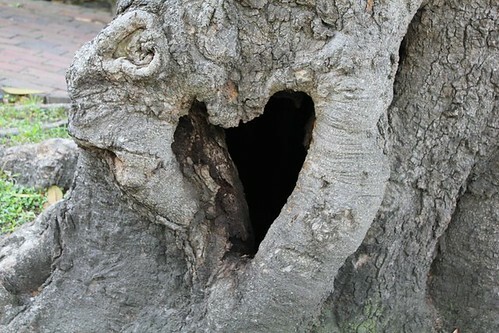 BTW, I love the photo with *2* hearts in the tree trunk. Lovely.